Americana instructors are professional musicians and teachers involved in local, regional and national bands and music organizations. Many perform regularly throughout the area. To schedule a lesson or get more information, call our executive director, Rachel Black, 785-830-9640, or email, americanamusicacademy@gmail.com, and she will put you in touch with an instructor. Michael Paull was born and raised in Ft. Collins, Colorado at the foot of the Rocky Mountains. He moved to Lawrence in 1993 ("I thought I'd go see what the horizon looked like.") where he has lived ever since. In January of 2003 he became a staff teacher at the Americana Music Academy and keyboard player in a number of musical groups promoting awareness of the school's community outreach programs. He teaches all skill levels on piano, incorporating early jazz, classical (including Ives and Copeland), folk blues, country, rock n' roll and any creative mixture of these styles for composition and improvisation. Michael performs his own works frequently and coordinates other performers for benefits and various local music events. Maya Van Nuys is a Suzuki School graduate and is well versed in musical styles ranging from classical, to bluegrass, to blues. Maya served as concert master of the Rapid City, South Dakota All City orchestra for five years straight. Her placement in the South Dakota All State Orchestra gave her a spot in the J. Laiten Weed Honors Orchestra three years in a row. Maya has taken master classes with David Kim (soloist and concertmaster of the Philadelphia Philharmonic) and Brian Lewis (soloist and teacher at the University of Texas at Austin). Along with her accolades in classical music, Maya has been trained in the styles of bluegrass, blues, Celtic, and everything in between. She is an experienced improviser, and has spent the past three years touring full-time with Grammy-nominated blues band, Randy McAllister. Maya loves teaching and is very excited to help her students learn classical technique and music, with the added fun and creativity that improvisation and other musical styles offer. Lessons are available for beginning and intermediate students, with a focus on technique and establishing a broad musical context. Jacob Bigus - Guitar, Classical, Jazz, & Bluegrass styles. Anna recently relocated to the Kansas City area from Denver, Colorado to pursue her Masters in Speech Pathology from Kansas University. She splits her time on the KUMC and KU campus as well as at Americana. She previously served as Front Desk Associate at the prestigious Swallow Hill Music in Denver, Colorado. Anna holds a B.S in Music - Vocal Performance from University of Colorado Denver and a B.S. in Communicative Disorders from Eastern New Mexico University. Anna is trained in voice and dabbles on Guitar, Piano, and Ukulele. Notable musical theatre roles Anna has played include: Natalie Goodman in Next to Normal, Gertrude in Suessical the Musical, Audrey in Little Shop of Horrors and Martha and Thea in Spring Awakening. Avery has been learning to make noise professionally since he was given his first violin at age four. As a recent graduate in Violin Performance from the University of Kansas School of Music, he has devoted himself to a wide array of musical traditions and instruments, including harp, ukulele, guitar, piano, cello, West African drumming, steel pan, and studies in ethnomusicology. A true renaissance man, he is committed to exploring new ways of musical and artistic expression, while consistently progressing towards mastery of the Violin. Through his studies, Avery has accumulated extensive experience in orchestral, chamber, and professional settings. In his years as an undergraduate, he served as principal violin for the KU Symphony Orchestra, performing in venues such as the Kauffman Center for Performing Arts and the Lied Center. He has also performed with Kinnor Philharmonic, a professional orchestra based in Leawood, Kansas, and in The Nutcracker: A Kansas Ballet at the Lawrence Arts Center. 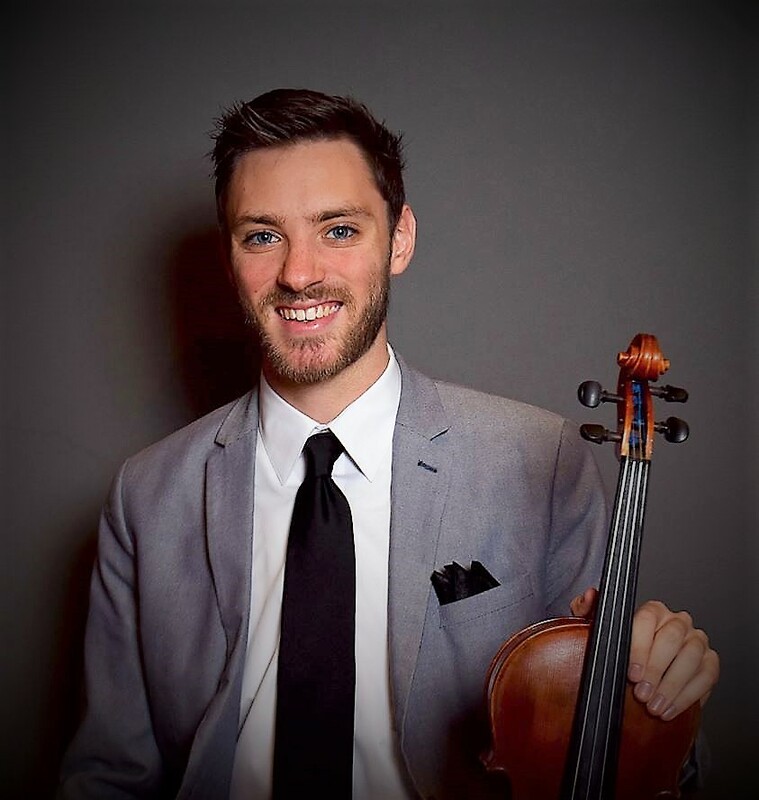 As a soloist, Avery has appeared in master classes with the Borromeo String Quartet, Simone Porter (a soloist), the Harlem Quartet, and Felix Olschofka (professor at University of North Texas). A recent recital at the University of Kansas included original compositions based on Mozart, Klezmer, and American folk traditions, two solos performed on Harp, and his own transcription of a Hassidic Jewish melody. As a pedagogue, Avery utilizes a highly individualistic approach, forming personal relationships with his students and addressing their specific goals. For many of his students, he incorporates the Suzuki method, and is a trained member of the Suzuki Association of America. Avery believes wholeheartedly that music is a pathway towards understanding others, and works with many of his students to overcome anxiety and build confidence in the lessons. Casey Artzer started playing the alto saxophone at the age of 11 before branching out to the tenor and soprano saxophones a few years later. He has played in Washburn University’s Jazz Ensemble II and Jazz Combo II, the Topeka Youth Jazz Workshop, competed and received I (superior) ratings at the Kansas Music Educators Association (KMEA) for both solo and small ensemble, and played in the All State Jazz Band at the Kansas Music Educators Association (KMEA), placing 1st chair Tenor Saxophone for the state of Kansas. Casey received his Bachelor of Arts in Music at Washburn University where he performed in various ensembles as well as for the Colman Hawkins Jazz Festival. Casey currently serves as Band Director of the Topeka Collegiate Concert Band and Assistant Band Director of Seaman Elementary Beginner’s Band. Casey has a passion for teaching the saxophone to anyone excited to learn, regardless of age or skill level. Stanley Sheldon is a bass guitar player best known for his work with Peter Frampton. He is notable as an early adopter of the fretless bass for rock music. Stanley Sheldon was born in 1950 in Ottawa, Kansas where he joined his first band, The Lost Souls. His first recorded work with Peter Frampton was the wildly successful live album Frampton Comes Alive in 1976. Sheldon also played on subsequent Frampton albums, I'm in You and Where I Should Be. In 2007, he contributed as co-writer and bass player on Frampton's Grammy winning instrumental album Fingerprints. He was part of Frampton's touring band on the 2011 UK leg of Frampton's Thank You Mr. Churchill tour, Frampton's hugely successful world tour in 2011-2012 celebrating the 35th Anniversary of Frampton Comes Alive and Frampton’s Guitar Circus tour in 2013. Sheldon also recorded with his late friend Tommy Bolin on his debut Teaser album and performs on various Bolin archival releases. Other recorded works include Lou Gramm Ready or Not and Ronin, a co-assembled group of session musicians-- Sheldon, Waddy Wachtel, Rick Marotta, and Dan Dugmore. Sheldon toured with Warren Zevon on his 1978 Excitable Boy tour and did additional recording work for the Christian music songwriter David Ruis. He co-produced and played on the Mayhew Family album Songs from the Third Floor (2004) and the EP Watch Out (2009). In 2008, he toured as the bassist for the Delbert McClinton band. Sheldon devoted most of the 90's to Latin American Studies at the University of Kansas. During this period he travelled widely throughout Latin America with his studies focused on slave society of the nineteenth century in Latin American countries and how its influence on past music continues to affect the transformation and hybridization of world music today. Rachel Black - Executive Director; Voice and Songwriting. Rachel Black is a versatile singer with a musical background ranging from singer/songwriter to blues to opera. Raised in Washington D.C., Rachel Black began performing at the age of six and started writing at fourteen. She holds a Bachelor’s in Music from Boston’s Berklee College of Music and has performed at venues across the country including The Bitter End in New York and the Harmony Festival in Santa Rosa, California. Rachel also appears as a studio vocalist and was featured on the Limited Edition Box Set of the acclaimed album These Re-Imagined Machines (Nettwerk/Black Hole, 2011) by the Grammy-nominated producer and composer BT. In 2009, Rachel relocated to Lawrence, Kansas where she welcomes an alternative to the hustle and bustle of city life. Locally, she has enjoyed working as a Child Coordinator for the Lyric Opera of Kansas City’s productions of The Magic Flute and La boheme, singing with Lawrence Opera Theatre where she served as the Artistic Administrator for the company, performing in Theatre Lawrence’s Dueling Divas and with their improvisation troupe, The Travelers, as well as performing with her blues band, The Ninth Street Band. Rachel Black also sings regularly as the Cantorial Soloist at the Lawrence Jewish Community Congregation. Rachel Black teaches voice and songwriting, specializing in classical vocal technique and many styles, including opera, musical theater, blues, pop, and rock. Greg Pelligreen - Guitar, harmonica, and songwriting. Greg is a long-time Americana community member, and hosts the Saturday community jams, as well as Americana night Wednesdays at Cutter's in Eudora. He usually finds himself in a working band, playing around town, and focuses on techniques helpful for playing in a group in his lessons. Greg can help you learn classic rock, blues, folk, and many other styles, as well as songwriting, and singing and playing guitar at the same time. And if you want to learn harmonica, Greg is your man. Jim Krause - Finger style guitar, old-time fiddle, and claw-hammer style banjo. Jim has been playing guitar since his teens, and fiddle and banjo since the early 1980s. In the early 2000s, he became interested in the folk traditions of fife and drum corps, having realized that many of the old fiddle tunes were used as marches by fifers during the early days of the Republic. He has performed and toured with such groups as The 97th Regimental Stringband, and The Euphoria Stringband. Jim specializes in fife, finger-picking guitar, old-time contra-dance style fiddle, and the claw-hammer style of banjo playing. Jim is a former banjo contest award winner at the National Fiddling and Picking Championships and a 1975 graduate of Bethel College, N. Newton, KS, with a BA in Vocal Music Performance. He currently performs with the alt-country group Getty Township playing 6- and 12-string guitars, fiddle and vocals. Steven Bergdall - Piano, brass, beginning woodwinds, music theory, and composition. Steven has been a music maker since early childhood and began formal study of piano at age 11. Since then he has been blessed with opportunities to play classical, jazz, rock, salsa, and many other styles of music. He studied composition at Oberlin Conservatory and jazz piano at Indiana University. In recent years, he was fortunate to be mentored by Claude Sifferlen and Max Hartstein, two Indianapolis musicians who helped Steven connect with the deep roots of Midwest jazz. Certified in Sound and Music Healing by the California Institute of Integral Studies, Steven is also an accomplished French horn player and has experience teaching brass and woodwind instruments in addition to piano. Dylan is a composer, percussionist, and teacher. He has been playing percussion for over 20 years and holds a B.A. in Music. His 17 years of experience teaching include work with the Missouri Fine Arts Academy, Drury University, Webster University Dance Institute, Missouri State University, the Missouri Arts Council, Gash Voight Dance Theatre, Americana Music Academy, and out of his private studio. Dylan teaches private lessons in drum set, snare drum, keyboards, congas, djembe, orchestral and marching percussion, as well as traditional African, Cuban, and Brazilian drumming. 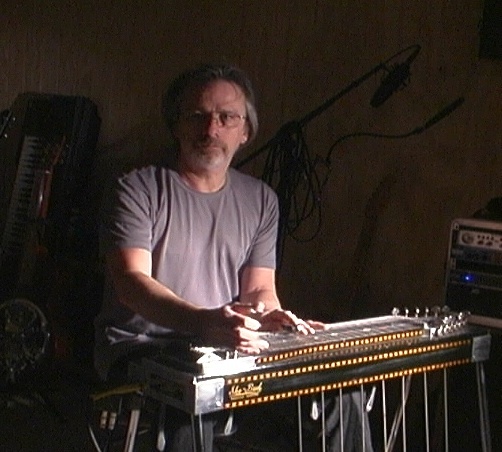 Allen Macfarlane started playing the lap dulcimer in 1980 and the hammered dulcimer in 1997. He’s been giving workshops to beginner through advanced players since the mid 1980s at music festivals, club meetings, and other events across the Midwest. He’s recorded two CDS of his music so far in his career, The Passage to the New World and The Snowy Flint Hills. Since the late 1990s, Allen has been offering children and adults an opportunity to build and play their own cardboard lap dulcimer in a workshop setting in arts centers and schools in Kansas and Missouri. In his other life, Allen is a middle school Science teacher at Topeka Collegiate School, where he regularly offers a lap dulcimer elective to his students. Howard Rains is an artist navigating two very different disciplines: he is a fiddler and watercolor painter. As a fiddler, he has made it his mission to keep alive the old time style of Texas fiddling; as an artist, he documents his impressions of traditional musicians with his unique paintings. The New York Times has called Rains “an authority on old Texas-style fiddling” and he has performed and taught at festivals and music camps across the United States and in Europe. Howard travels with his wife and music partner, Tricia Spencer, making music and documenting his fellow musicians, always drawing from life and being inspired by the music. He has been awarded grants and artist residencies both for his art and music. When not traveling to play music or paint some old fiddler’s portrait, Howard splits his time living in Lawrence, KS and Austin, TX. In Howard, there is an effortless melding of folk art and folk music in a way that is rarely seen. Trey Durkin has been making music for most of his life. Starting with trumpet in school at age 10, he learned to play guitar at 12, learning fingerstyle, then later with a pick. He has loves and played many stringed instruments ever since, including banjo, fiddle, mandolin, bass, ukulele, dulcimer and whatever else he can get his hands on. He learned to play by ear in band in school. He played electric bass in a rock trio called the Keith Lee trio, which then became the backing band for country singer Devin Amos. Trey has also played guitar for the Indie Rock band, the Future Kings. A growing passion for bluegrass and then old time music led Trey to leave the group and pursue learning traditional tunes on banjo, both 3-finger and Clawhammer, and old time fiddle. In particular, Trey loves the intricate and highly rhythmic banjo and fiddle styles of the Round Peak, North Carolina region. Trey graduated from the Colorado School of Lutherie In 2013, where he studied how to setup, repair, and build guitars. In addition to performing and teaching, Trey works as a Luthier in the repair shop of Mass Street Music. Trey teaches Clawhammer and 3-finger banjo, and mandolin. Jenn Thomas - Cello, violin, viola, Suzuki method. Jenn has spent the last decade playing and singing her way around much of the world: from Kansas to Korea to Killarney, she’s played classical, jazz, blues, and folk on everything from the cello to the musical saw. Now, having taught cello and a heck of a lot else, Jenn has brought her expertise to Americana. Jenn has a Bachelor’s in cello performance and is completing her Master’s in Music Education at KU, and uses the Suzuki Method in her teaching. Essentially, Suzuki focuses on ear training and celebrating the world’s musical heritage, so this teaching style fits right in at Americana. Lessons are tailored to students’ needs and interests, but are focused on playing the cello with physical comfort and ease, regardless of the style. Joe Schoonover is a jazz guitarist based out of Lawrence, KS. He enjoys a busy playing schedule performing regularly at a variety of venues with a "who's who" among great Lawrence musicians. He is a regular musician at Five Bar and Tables and Decade Coffee and has also hosted Lawrence's only jazz jam at Eighth St. Taproom. Joe has studied with Danny Embrey, Dan Gailey, Matt Otto, Jeff Harshbarger, and Craig Treinen to name a few. His teaching style focuses on addressing students' individual personal goals and providing the tools and guidance they need to grow as musicians. Some concepts that are regularly explored are fretboard knowledge, guitar counterpoint, and improving technique. To learn more about Joe Schoonover, visit joeschoonover3.com. Anne Schneller has been a violinist since the age of 4 and hasn't been able to put the instrument down since. In those years of experience, Anne has accumulated honors including winning a spot in the American String Teachers Association (ASTA) National High School Honor Orchestra, being awarded first place in the Shooting Stars Scholarship Competition, and also winning a concerto competition and appearing as soloist with the Olathe Community Orchestra in 2013. Anne's orchestra experience, spanning from high school to the collegiate level, consists of being the Concertmaster of the Kansas City Youth Symphony, holding principal second violin and Concertmaster positions in the University of Kansas Symphony Orchestra, performing on the Brevard Music Center Orchestra and Brevard Sinfonia, and also participating in the All-State High School Orchestra for three years in a row. She is also the recipient of the Raymond Cerf String Scholarship, and the Doris Turney Gibbs Violin Scholarship. Anne has also appeared in guest masterclasses, receiving instruction from Paul Huang (a soloist), Benjamin Bielman (a soloist), Felix Olschofka (professor at University of North Texas), Jeremy Starr (professor at Emporia State), Marjorie Bagley (professor at UNCG), Carolyn Heubl (professor at Vanderbilt), Dawn Wohn (professor at Ohio University), the Borromeo String Quartet, the Shanghai String Quartet, and Scott Conklin (professor at University of Iowa). Anne currently studies under the professor of violin at the University of Kansas, Veronique Mathieu. Lesson are available for beginning and intermediate violinists of all ages. These lessons are aimed towards teaching the techniques involved in playing the violin as well as giving an understanding and appreciation of classical music. Matthew Mulnix - Director of Youth Ensembles; Guitar, Ukulele, Voice, Music Production, Songwriting, and Pop/Rock Youth Ensemble. Matthew Mulnix began teaching music lessons in 2008 in his hometown of Bethany, MO. After receiving the VSA International Young Soloist Award and qualifying for the national DECA Entertainment Business competition in 2010, Matthew was encouraged to pursue both academic paths. With a focus on guitar, songwriting, and music business, Matthew graduated from Missouri State University with his B.S. in Entertainment Management in 2014. He has released two albums of original pop/rock music, including The Truth Exposed in 2013, and Relative North in 2017. His music has been featured in publications such as Substream Magazine and The Alternative. Since moving to Lawrence in 2016, Matthew has immersed himself into the music community. He’s held roles as former Modern Worship Leader at First Christian Church, founder of Lawrence Songwriter Showcase, instructor of the Ukulele Orchestra at Lawrence Arts Center, and Director of Youth Ensembles at Americana. Matthew loves teaching students of any skill level, utilizing his background in music theory and ear training to help musicians achieve their goals. Matthew teaches Guitar, Ukulele, Contemporary Voice, Songwriting, and Music Production. Having recorded in home and professional studios for ten years, Matthew can help you turn your ideas into a multi-tracked, completed song. From recording equipment selection to mixing/mastering, you can take the home recording process into your own hands through Music Production lessons. To learn more about Matthew, visit matthewmulnixmusic.com . Guitarist Eric Putnam has lived in Lawrence for most of his life. He started playing guitar when he was 13 and started playing in bands shortly thereafter. Eric plays and teaches a variety of styles including blues, rock, folk, and soul music. Along with teaching, Eric works at Mass Street Music and has played in many bands including with Rachel Black and the Ninth Street Band and with the Lawrence/Kansas City band, Odd Harmona. (oddharmona.com). Denny has been a staple in the local music community since 1967 when he settled in Lawrence from New Jersey. Playing guitar and keyboards through the early 70’s, he found the sound of pedal steel guitar as played by the likes of Jerry Garcia, Peter Kleinow (Sneaky Pete), Buddy Cage (New Riders of the PS), and J.D. Maness. He’s played with many talented local musicians including Arnie Johnson, Johnson Shockly, and Billy Spears. In the mid 80’s to late 90’s, he played the Kansas City club scene and later toured with a “Nashville Hopeful.” Denny is most known in the area for playing dobro with local groups. He currently performs at downtown venues and at special events in the Lawrence/KC area. Besides teaching Pedal Steel and Dobro, Denny teaches guitar in a style known as “Hybrid Picking,” a combination of finger picking and flat picking. Denny will teach you exercises that will help you to interpret what you’re envisioning and say it through scale manipulation and finger picking tricks. Anna Patterson is a mezzo-soprano from Lawrence, Kansas and is finishing her Bachelor’s of Music in Vocal Performance this spring. Her passions include both classical voice and musical theatre. Anna has been a member of Lawrence Opera Theatre for 5 years. While with the company, Anna has covered the Third Lady in The Magic Flute and Dottore Grenville in La Traviata, as well as serving as a featured soloist in their Musical Theatre Cabarets. At the University of Kansas, Anna has been a part of New Music Guild, KU Helianthus, Opera Workshop, and KU Opera where she has played Paquette in Candide and the Announcer in a touring production of Gallantry. Her favorite part of being in these groups is that she gets to explore where music is going and give new compositions life. Outside of the classical realm, Anna has a long time passion for musical theatre and a cappella pop music. Anna has experience performing in all women’s barbershop ensembles and writing arrangements of pop music for acoustic ensemble and voices. Anna enjoys teaching students ages 12 and up and strives to teach a well-rounded musical education by incorporating ear training and music theory alongside technique. Linda got interested in playing ukulele when she regularly attended old-time music jams. Tired of being an observer, Linda mentioned to a friend that she wished she had a banjo ukulele to play at the music sessions. Two years later that friend surprised her with a Christmas gift of a 1926 Sears and Roebuck banjo ukulele – the $3 model! Since 2006, Linda has been a performing member of the Kansas City Ukesters, a ukulele club in Mission, Kansas. She also teaches ukulele workshops at the Walnut Valley Festival in Winfield, Kansas. Linda's classes focus on beginning and intermediate students who play soprano, concert and tenor-sized ukuleles. These sessions are tailored to the preferences and interests of the student. Beginning sessions include tuning, entry-level songs, how to learn and remember new songs, and jamming etiquette. Intermediate classes include: songs using more advanced chord progressions, transposing and strum patterns. David Ludwick - Piano, mandolin, guitar, voice, and percussion. David has played music professionally since junior high school in various groups and styles. His most recent ventures include the Lawrence City Band, Ottawa Symphony, several rock and country dance bands, and a ballroom dance band called the Prairie Dogs. After getting a music degree from the University of Kansas, he has taught many types and genres of music. His teaching history includes twenty years of college and elementary music classes and thirty years of private students. David is proficient playing and teaching piano, guitar, mandolin, voice and percussion. Jim has been an active supporter, teacher, and board member for Americana for years. Active in many local bands over time, he currently picks with Pickett, Paull, and Jeans, a cafe jazz trio, playing guitar and mandolin. Jim is a talented multi-instrumentalist teaching lessons on mountain dulcimer, ukulele, mandolin, and guitar. He is also a luthier and instrument expert. If you have any questions on what type of instrument to buy for your lessons, he's the "in house" authority.